Last Friday saw the conclusion of the three Start Something awareness sessions at The University of Western Australia. Key note speakers were from the University with commercialisation success stories supported by Atomic Sky and Innovation Cluster. Start Something aims to further stimulate entrepreneurship at the University by providing researchers and post-graduate students with an introduction to the skills necessary to commercialise their research and better engage with industry. The program was developed by UWA IQ & Innovation Cluster with content from Atomic Sky. Interest for the search commercialisation and entrepreneur workshops was exceptional with top UWA researchers attending the three events. The final session of the series was held at the Harry Perkins Institute for Medical Research on Friday. It was exciting to speak to this group who have such wonderful work happening in and around the medical research field, much of which have the potential for high impact in their areas of application. The event introduction was provided by Professor Robyn Owens, Deputy Vice-Chancellor (Research) for UWA followed by Associate Professor Kevin Pfleger, who spoke about his commercial success journey with Dimerix Bioscience. It is fantastic to see the amount of research and innovation happening in one of our world class universities and to be part of helping more of that research find it’s optimum path into industry. The Start Something program workshops start this Friday 7th August and runs for four weeks. 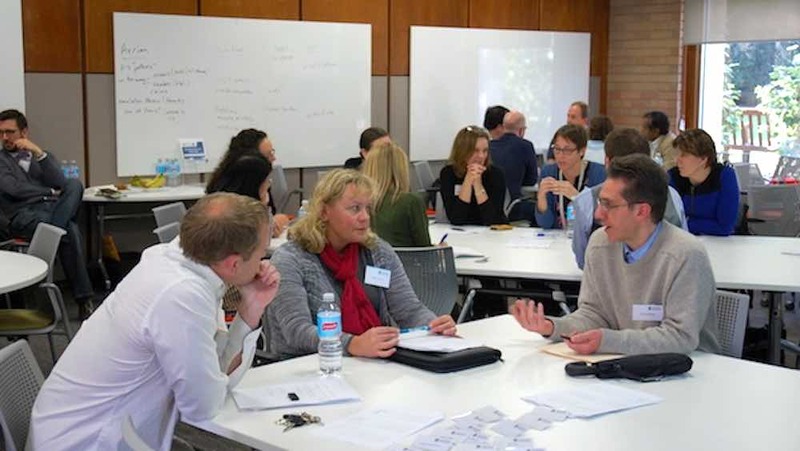 Competition for places has been high so it will be amazing to see what ideas and the people who have been accepted onto the program support by UWA IQ and the UWA Researchers’ Association.